These vegan green beans are cooked with liquid smoke to approximate a bacon flavor. This vegan trick makes things taste like bacon without using bacon. Bacon tastes like bacon because it’s rinsed with liquid smoke during the curing process. When you add liquid smoke to recipes, you’re adding the bacon flavor without harming animals to get it. 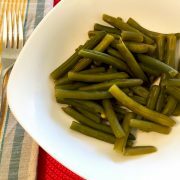 This recipe uses fresh green beans, but if you can’t find any or you’re in a hurry, you can use 3 cans of cut green beans instead. Just omit the water and vegetable broth, and cook the green beans in their own juices. Use all natural liquid smoke to be fully vegan. Most liquid smoke brands contain molasses, which is made with non-organic sugar processed with animal bone char. We used regular vegetable broth, but you can use low-sodium broth. You might want an extra 1/2 tsp of salt if you do that. 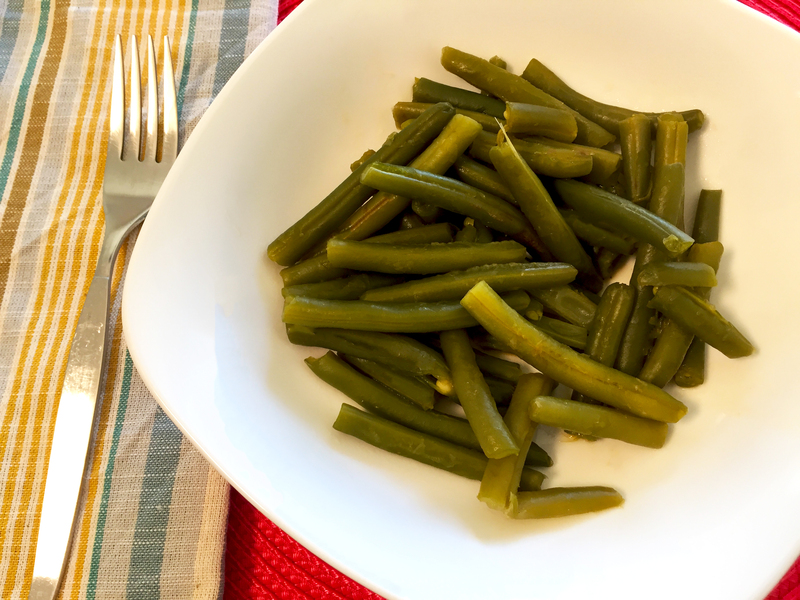 Simple and easy, these vegan green beans with bacon flavor are one of my favorite veggie recipes. These vegan green beans have a delicious smoky flavor that tastes like you cooked them with bacon. Liquid smoke is a vegan trick that gives a bacon flavor. Remove the stems and snap the green beans into 2 or 3 smaller pieces. Rinse the green beans in a colander. Add the green beans to a large pot with the remaining ingredients. 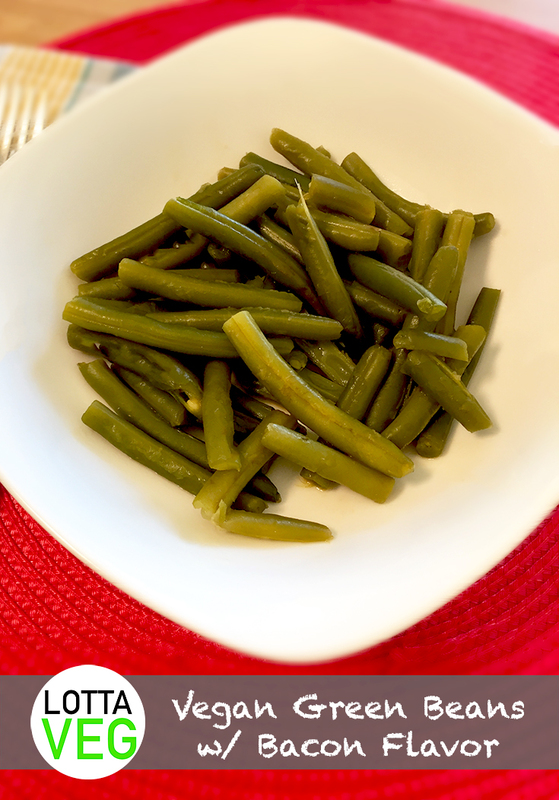 Fill the pot with water until the green beans are fully submerged by an inch. Bring to a boil and reduce to a simmer. Cook for 60 minutes or until the beans are soft, stirring occasionally. Serve immediately or reheat later. Salt to taste. Serving size is about 3/4 cup.